It's taken a while for Hot Toys to release their Back to the Future Part 2 figures, but now Marty is here and Doc has just been recently released in HK. Click through below to watch my full video review over on the Kool Kollectibles YouTube channel! The set comes with a decent array of accessories, but I really do hate the large dynamic stand. I wish Hot Toys would also include the old black oval bases that they used to. Those do the job well and still look classy. This dynamic stand will probably be my 4th or 5th one that I've just stored away in a drawer never to be used! The exclusive version I got from Sideshow includes a couple of extra hands to go with the gun from the Wild Gunman arcade game. Not really an essential exclusive accessory, so if you're only getting the regular version you're not really missing out on too much. 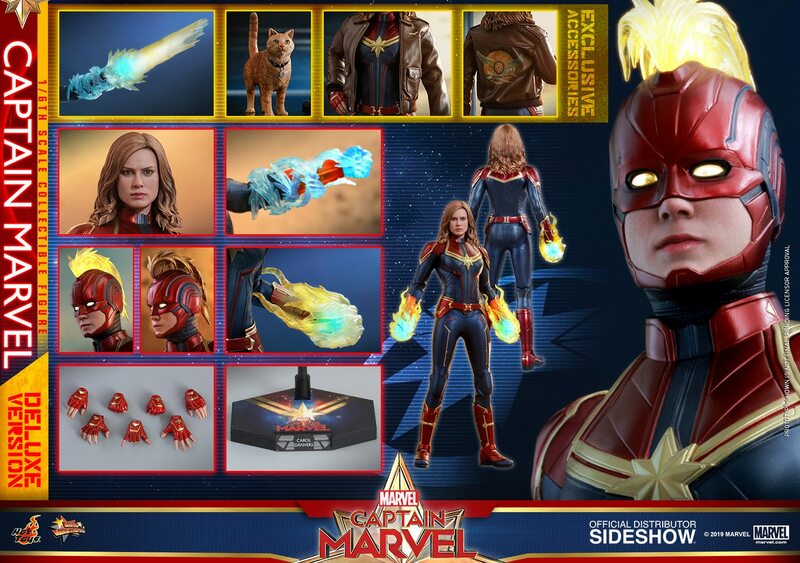 I do like the other accessories including the swap out hair and cap, Pepsi bottle, hoverboard, almanac and bag, and newspaper. The shoe container is also not bad, but pretty pointless when he's wearing the shoes lol. It's a shame none of the accessories have their official brand logos, such as Nike and Mattel. 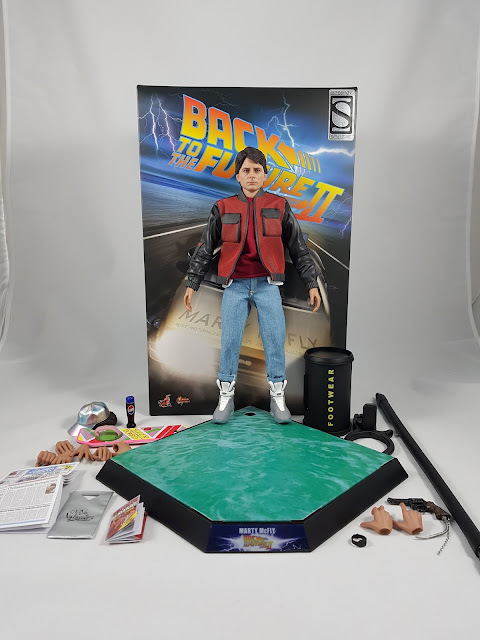 This is similar to the first Marty McFly figure, so I'm sure the custom decal makers will have a good run of orders. The head sculpt I think is a slight improvement in likeness over the first figure. But it's strange in that the first head sculpt seems to work better with poses from that movie. The expression Hot Toys have chosen for this version is far too serious and sombre, particularly when posed on the hoverboard! Something more determined or action-oriented would've been far better. The jacket is nicely tailored, although I did have some trouble getting it to sit symmetrically on both sides of the neck. I also worry about the sleeves due to their rubber/vinyl type material that could degrade over time. The jeans were also a tad too short I think, but overall the outfit is decent and does the job well for this iconic costume from Part 2. I couldn't quite get the figure to sit on the hood of the Delorean properly, so gave up and just have him standing there now. Will have to trawl the figure forums and groups for more inspiration on a long-term pose. 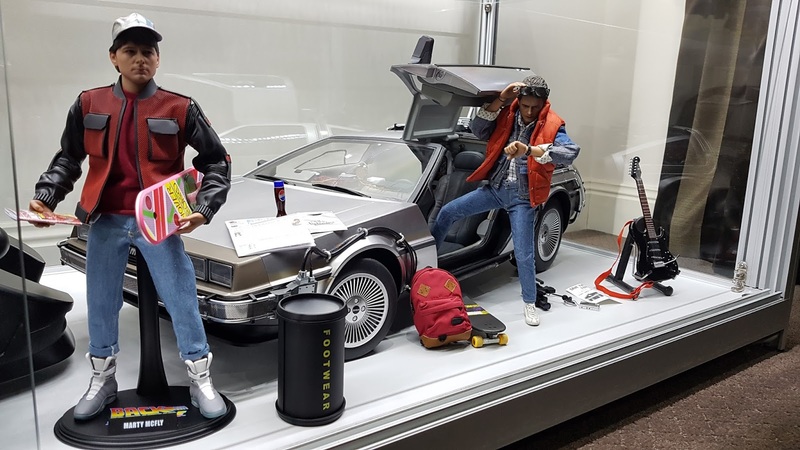 Overall, I think the figure is nicely made, and will look great next to the upcoming Doc Brown too. 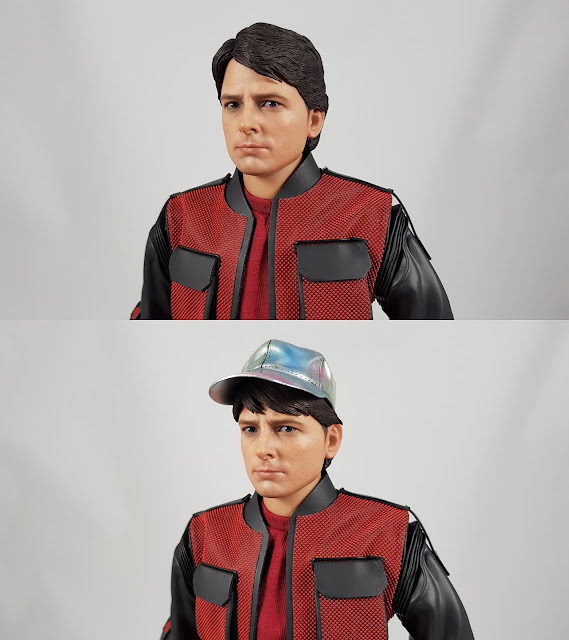 I do wish they announce a radiation Doc to go with the first Marty though. Either way, if you're a BTTF fan, I'm sure you'll be pretty happy with this figure.